Seasonal businesses are common throughout our region due to us being an area that is very popular amongst tourists. With so many of our local businesses reliant on tourism to the region, how do they ensure their survival in off-peak periods? In this article we will explore what strategies seasonal businesses could adopt in order to survive. It is important to keep in mind however; not all seasonal businesses rely on summer trade. There are a number of businesses that thrive in winter time, such as firewood suppliers, independent pharmacies, furniture/home improvement stores etc. For many businesses, it is more cost effective to shut down completely in off-peak periods. Tourism based businesses often find themselves running their business at a loss in off-peak periods and decide the best option is to close down completely and re-open in time for the peak periods. There are risks in this though; some businesses rule out the possibility of tapping into local, all-year round trade. Many eateries and shops are an example of this; they generate the majority of their income through holidaymakers and don’t consider local people to be a viable source of trade. Some businesses — granted, not all — may be able to generate some profit by implementing some simple changes to attract local, returning trade (this is discussed further in the next strategy). However, shutting down in off-peak seasons creates time for you to plan and strategise for the next busy period, as such closing down may very well be the right strategy for your business. Many successful seasonal businesses adopt this strategy. Being adaptable is the foundation for success in business, just as it is in life. Your potential customer base changes with the seasons, it is vital you adapt to the consumers wants and needs. What tourists/holidaymakers want may differ to what local residents want. By only catering to tourists and holiday makers you risk alienating local consumers. For pubs/restaurants, changing to a ‘winter menu’ may prove effective. Perhaps setting up a loyalty scheme that rewards returning customers may prove popular with the locals? There isn’t a one size fits all solution for this, it is about making different changes and seeing what works and what doesn’t work. Finding your niche requires fine-tuning these changes until you have something that keeps your business ticking over in the off-peak periods. Of course, changes for the better shouldn’t just be limited to off-peak periods. Making changes that attract even more tourists will help tide you over in the winter months, and it might just be the difference between keeping open and having to close down. As mentioned above, some businesses opt for closing down completely, though a good compromise may be to just reduce your opening times. Reducing opening times is a strategy adopted by the majority of seasonal businesses, and there is nothing wrong with this strategy. Sometimes it is the only viable option. It is however, important to mention that this strategy works best when used in conjunction with the above strategy (adapting your business to the time of year). This strategy can be one of the changes made to adapt to the different seasons. It is important to carefully think about what the optimum times to open are. This isn’t a change you can keep tweaking and experimenting with; as you will confuse customers to the point they won’t know when you are/aren’t open. So you would be wise to avoid tampering with your opening times too much. It is vital you get it right the first time, so give careful consideration when adopting this strategy. You will have more time to create a good marketing campaign, rather than rushing one during busier periods. You will have less competition – your competitors won’t think it’s worthwhile to market during off-peak periods (they’re wrong!). You can pique your customers interest before your peak period comes around, meaning your business will be the first that comes to mind. This option is closely related to option 4 in the sense that you are utilizing your quiet period to prepare for your businesses peak period. However, this option is specifically for making your business more ‘appealing’ to consumers in time for your high season. As many businesses know, particularly shops, restaurants etc. busy periods can take a toll on your place of business. A simple lick of paint is sometimes all that is needed, and can make a lot of difference to the opinions that are initially formed about your business. A business owner should take the off-peak season to look at their business objectively and think about how they can refresh their image. This may involve doing some research; looking closely at your competitors and seeing what appears to be working for them, and what isn’t working for them. Review websites are a great source of information. All of the strategic options discussed can be cherry-picked and adapted to suit the nature of your business, using multiple options in conjunction with each other may be in the best interest of your business – or perhaps using only one. It really depends on your business. The intention of this is article is just to present the kinds of things business owners should be thinking about during their off-seasons. There is one point not yet mentioned, something that is just as important – if not more important than any of the options mentioned above. Using your off-season for some you-time. Yes, using this time to relax and focus on the things you enjoy is not a bad idea. If cash-flow allows and you are in a position to take a few months off, perhaps you should take it. 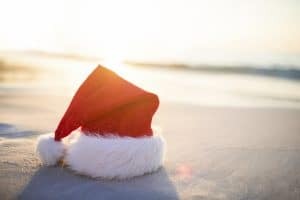 If your business is one that thrives in summertime, then you know all too well that winter stretches on for a long time and may just provide enough time to both implement the necessary options mentioned above and also to take some much deserved time off. If you want expert, professional advice then you can attend our free one-on-one business advice sessions that run on the first Thursday of every month between 1-5pm. To find out more about our sessions, click here to contact us. Thanks so much for making this article. It is useful for me to get some elaborative explanations about the ideas I have already had in mind. Now I am thinking of shutting down temporarily my English course business during this tough time and plan to reopen again later. It’s just the tweaks that I have to carefully manage.